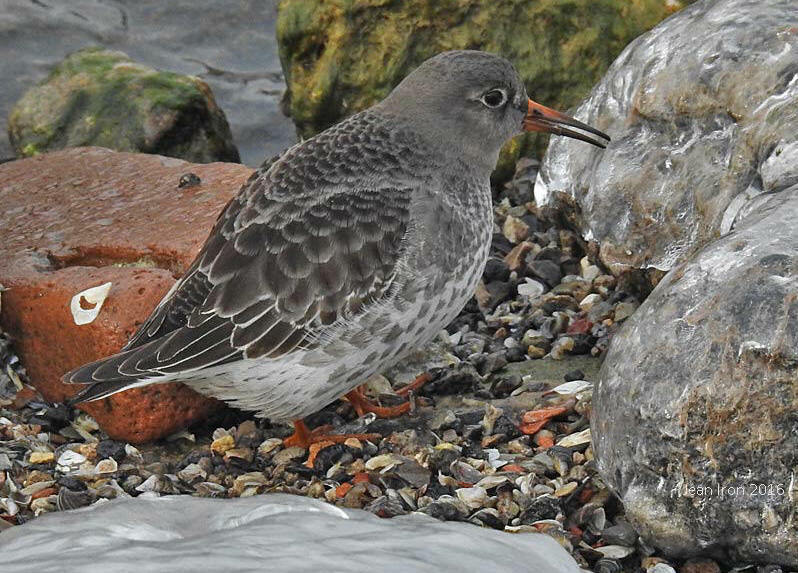 First winter Purple Sandpiper at Tommy Thompson Park in Toronto on 21 December 2016. This hardy sandpiper is one of my favourites. When waves rolled ashore, it was up to its belly in the cold waters of Lake Ontario. 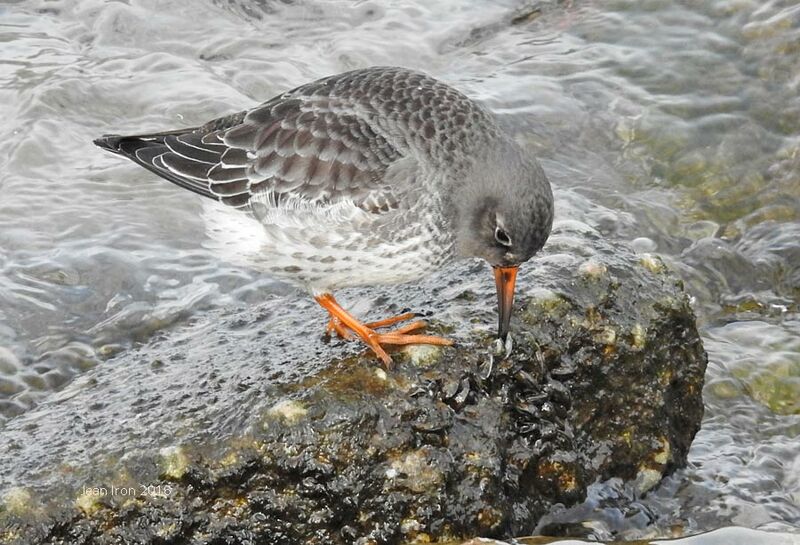 Purple Sandpipers winter farther north than other shorebirds. Aged as first winter by contrasting white fringes on wing coverts and tertials. 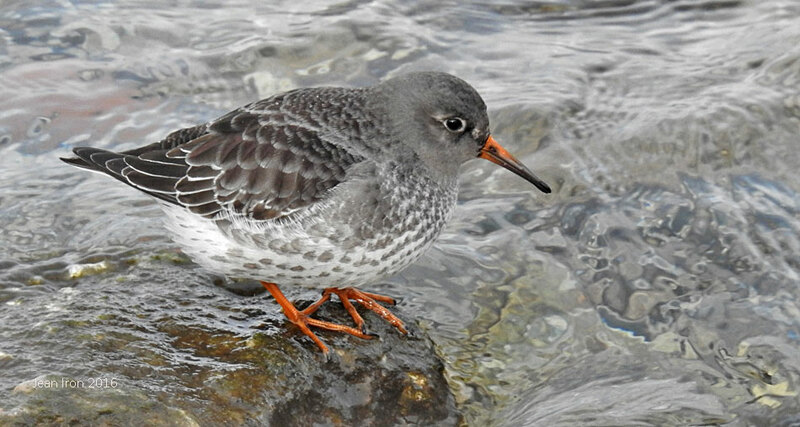 Note that Purple Sandpipers in juvenile plumage are not seen in southern Ontario because they molt in the north before migration. It was feeding constantly in the algae-covered rocks and used its bill to dig into molluscs and other small shellfish. The Purple Sandpiper is the last sandpiper to migrate in the fall and is known to be cold hardy, wintering north to Newfoundland and farther.